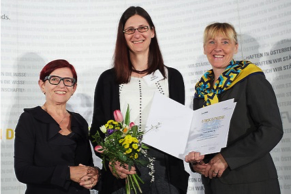 Margit Winkler is fascinated by the power of natural biocatalysts for chemical synthesis. Many of the reactions that one may want to use for the preparation of organic molecules have not yet been developed, or have some limitations such as: the need for highly complicated and expensive catalysts, multiple steps or they simply suffer from low selectivity. 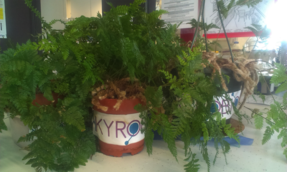 The overall theme of Margit's research is to find new and alternative ways to catalyse a transformation by using enzymes. Sometimes, the goal is to determine the scope and limitations of an enzyme and possibly its engineering towards desired characteristics to overcome these limitations. Other times, it is the discovery and detailed study of enzymes that are not well known yet, in order to understand them better and to determine whether and how they could become applicable for synthesis. And finally, a particular product may be in the focus of the studies and the goal is then to find the best way to prepare it. Due to this broad portfolio of interests and needs, enzymes, substrates, products and methods that have been in the focus of the team over the years, it is essential to collaborate vividly and connect the knowledge of diverse fields. In this project, we investigate CARs in depth with a focus on process relevant parameters. The goal of this project is to synthesise aldehydes in cell free systems using carboxylate reductase enzymes. 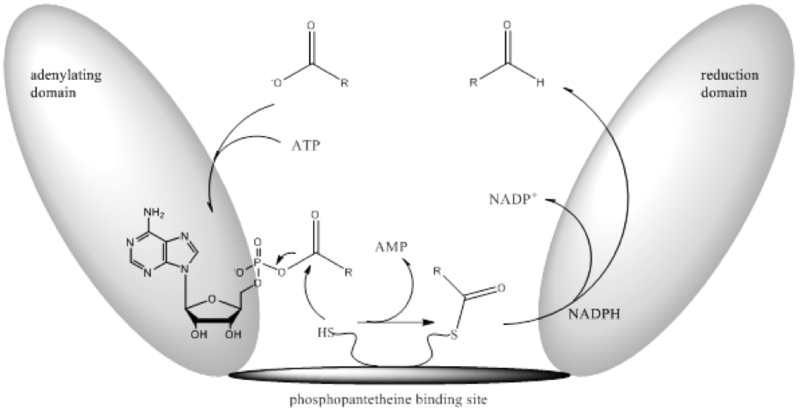 The need for stoichiometric amounts of ATP and NADPH is satisfied by recycling these costly cofactors using a cocktail of enzymes and polyphosphate as well as glucose as co-substrates. The goal of this project is to discover new enzymes from South African resources in collaboration with Prof. Karl Rumbold, University of the Witwatersrand, Johannesburg, South Africa. 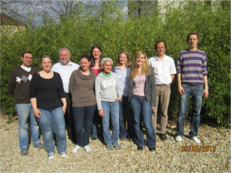 The project title is Expanding the industrial use of Robust Oxidative Biocatalysts for the conversion and production of alcohols and our interest is to apply the combined knowledge and the analytical toolbox for the analysis of active pharmaceutical ingredients (APIs) to characterize oxidizing enzymes from the project partners. This project is carried out within acib in close collaboration with Prof. Anton Glieder (TUGraz) and DSM Chemical Technology R&D BV. The goal of this project is to collaborate with Prof. Farah Diba Abu Bakar, University Kebangsaan Malaysia, Bangi, Malaysia. 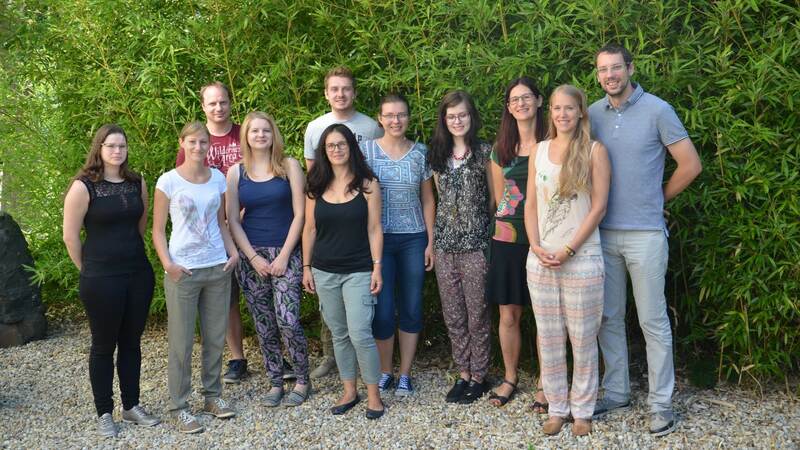 The aim of this project is to get a better understanding of carboxylate reducing enzymes to enable the development of cell factories for the selective enzymatic preparation of aldehydes. We would like to know more about the structure-function relationship of this enzyme class and to identify more of these enzymes on amino acid level. The project title is The discovery, development and demonstration of biocatalysts for use in the industrial synthesis of chiral chemicals and our interest was to identify a new class of hydroxynitrile lyases. We found a very promising enzyme in the fern Davallia teyermanii and characterized it in detail. 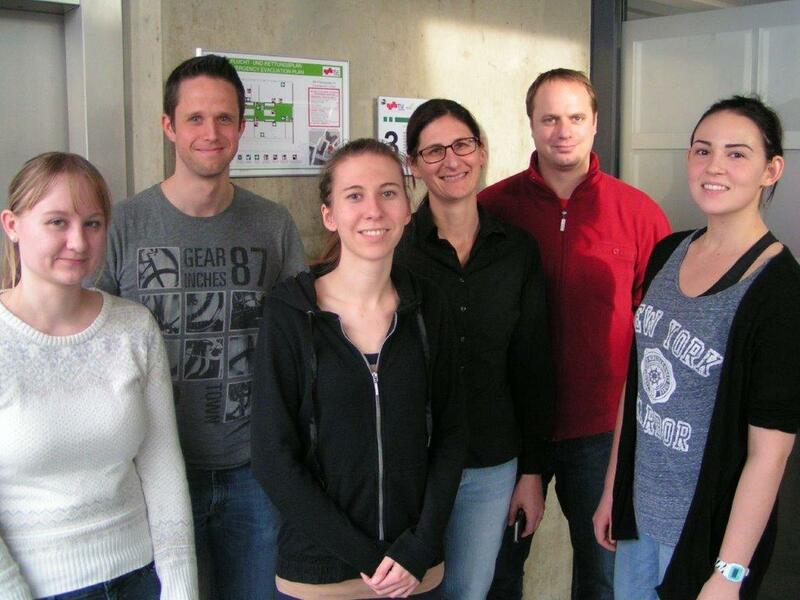 This project was carried out within acib in close collaboration with Prof. Karl Gruber (UniGraz), Prof. Ruth Birner-Grünberger (ZMF and Omics Centre) and Dr. Gerhard Thallinger (TUGraz). 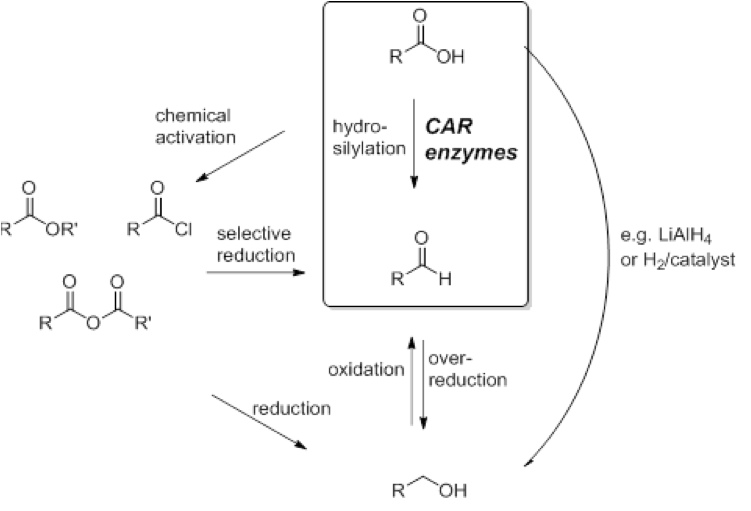 The aim was to explore the substrate scope of enzymes that can convert a carboxylic acid to a nitrile. The aim was to make human drug metabolizing enzymes available in microbial hosts so that it is possible to prepare authentic human drug metabolites on the preparative scale. 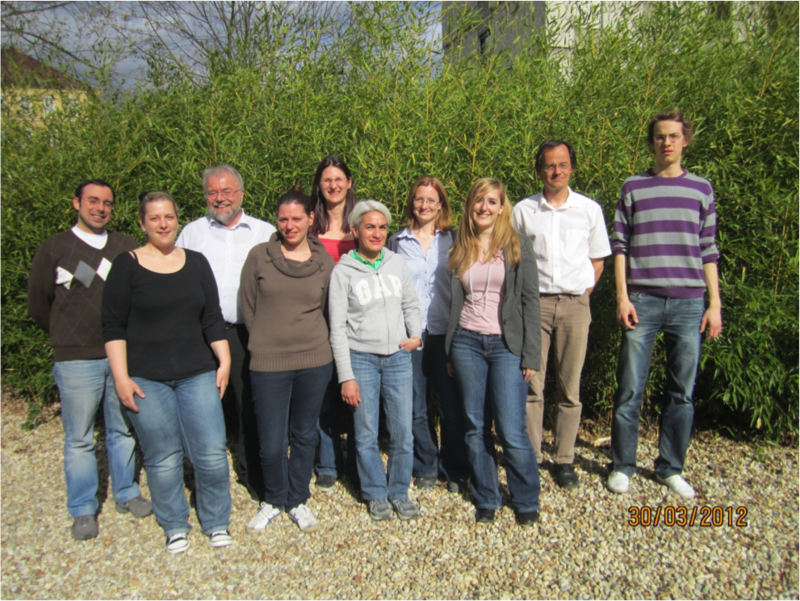 This project is carried out within acib in close collaboration with Novartis and F.Hoffmann-LaRoche. The aim was to provide robust enzymes and yeast strains for the production of chiral amines. This project is carried out within acib in close collaboration with Prof. Anton Glieder, Dr. Andrea Camattari (TUGraz) and Ingenza Ltd. In this project we cloned, mutagenized and provided nitrile reductase enzymes to project partners with the aim to broaden its substrate specificity. This project is carried out within acib in close collaboration with Prof. Norbert Klempier, Prof. Bernd Nidetzky (TUGraz) and Prof. Karl Gruber (UniGraz). The aim was to find enzymes for the reduction or oxidation of industrially relevant compounds. This project is carried out within acib in close collaboration with Prof. Helmut Schwab, Prof. Peter Macheroux (TUGraz) and Lonza AG.